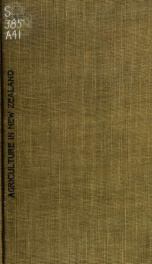 Read online "Agriculture in New Zealand. Hon. Robert McNab, minister for agriculture" by New Zealand. Dept. of Agriculture. Instant free e-book download at OnRead.com.